Dr. Carol K. Baker was a member of the writing team for the Next Generation Science Standards. She worked on developing, writing, reviewing and editing the middle school and high school physical science standards. Additionally, she has worked closely with reviewers from the Lead State Review team in Illinois and the Illinois Adoption Team. She is also a member of the leadership team for Building Capacity for State Science Education in Illinois. Dr Baker is Director of Curriculum for Science and Music for Community High School District 218 in Oak Lawn, Illinois. In this role, she develops curriculum and assessments for all science and music courses and cultivates excellent instruction among all her teachers. Before moving to this district-level position seven years ago, she taught all levels of high school physics for eighteen years. During her time as a teacher, she participated in many science professional development experiences including Department of Energy Teacher Research Associates (TRAC), NASA Educational Workshops for Mathematics and Science Teachers (NEWMAST), and QuarkNet. Dr. Baker’s passion for curriculum and instruction extends beyond her work at the district level; She serves many other education-related organizations in a number of capacities. She is the Past-President of the Illinois Science Teachers Association and will be in this role until the spring of 2015. She was also a member of the international Board of Directors for QuarkNet. Additionally, she is an item writer for ACT and the Illinois Science Test. Finally, as a board member for the Consolidated High School District 230 in Orland Park, Illinois, Dr. Baker represents her community and approximately 9,000 students. She received her BS in Physics and grades 6–12 science teaching certification from Loyola University of Chicago in 1988. She completed her master’s of Educational Administration from Governors State University and earned her doctorate in Educational Leadership from National-Louis University in Chicago. 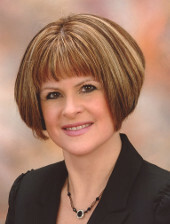 Dr. Baker lives with her husband and two children in Orland Park, Illinois.